Paddleboarding can sometimes seem like surfing’s slightly less glamourous cousin; it’s not hard to see why either. You’ll rarely see a SUP ripping it up on a massive break, and the boards themselves aren’t usually the coolest (think ‘inflatable’ rather than ‘glossy resin tint’). However, the Fitzke Bootlegger changes all of that. Okay, so this isn’t a stick to slide on into a hollow barrel with – its designed as a more leisurely tourer – but just look at it! Is this not the most awesome SUP you’ve ever laid eyes on? 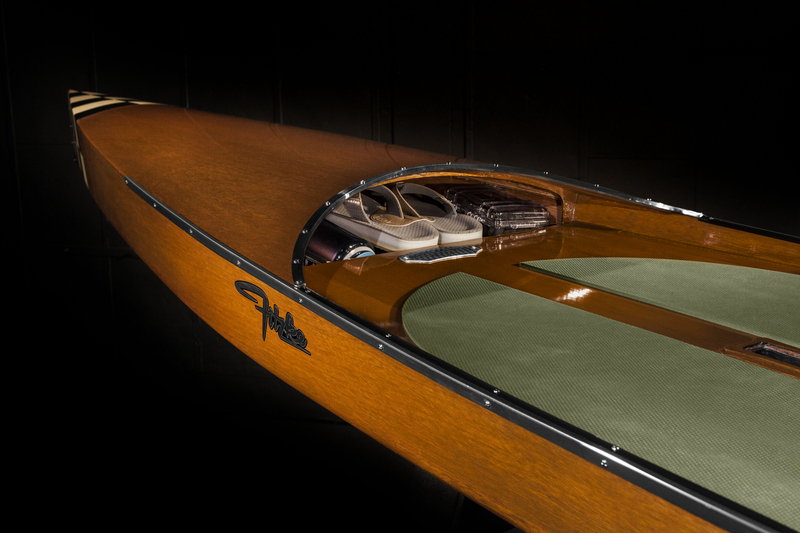 Inspired by the wooden Chris-Craft-style motorboats of the 1920s (often used to run moonshine around America’s waterways during the infamous Prohibition era), the Bootlegger is the brainchild of Kevin Fitzke. 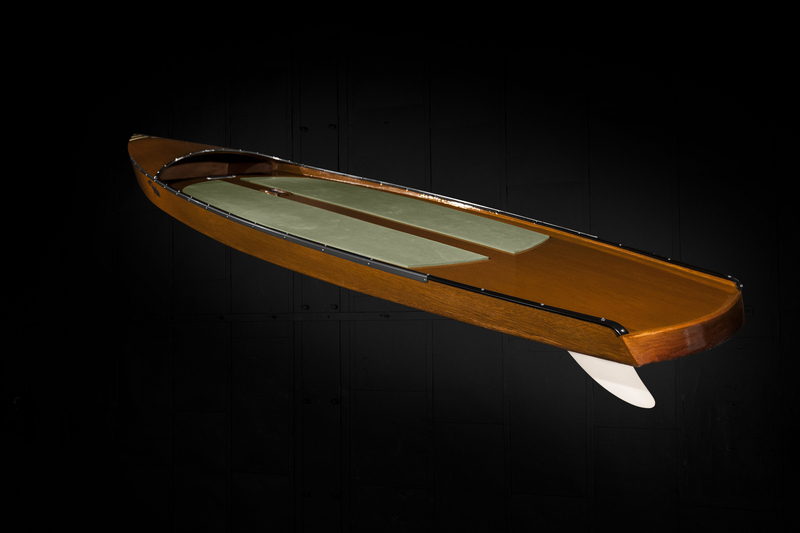 Each board is hand-made by Fitzke and takes around five weeks to complete. 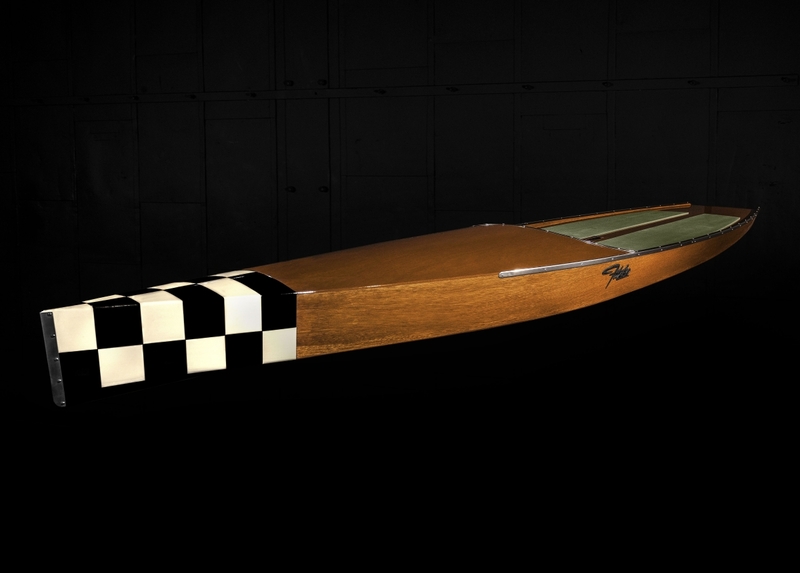 The chequered paint job on the bow of the board comes as standard but Fitzke can do you a custom design (for some extra dollar) if you want your Bootlegger to stand out even more. Constructed, naturally, from marine-grade mahogany, the signature element of the Fitzke Bootlegger is the waterproof ‘hiding spot’ up front, providing some storage space for spare clothes or, if you want to really get into the spirit of things (pun intended), your favourite post-ride tipple. Using less than ten per cent solid wood ensures that the Bootlegger won’t suffer with any splits or cracks due to temperature and climate changes, while three-stage buffing sequence during the varnishing process ensure a high-gloss finish that protects against moisture and, most importantly, looks absolutely incredible.